Diana Rodgers, NTP is the owner of Radiance Nutritional Therapy where she councils people across the world on the benefits of the Paleo lifestyle. 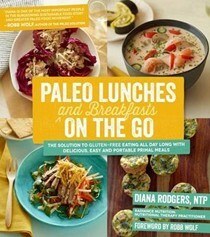 Her first book, "Paleo Lunches and Breakfasts on the Go," was an international bestseller. She is the nutrition consultant to several CrossFit gyms, conducts cooking classes and lectures at conferences, businesses and colleges on sustainability issues surrounding food production and human nutrition. 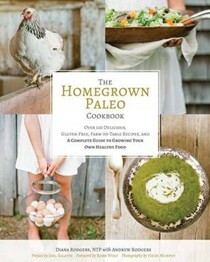 She is also the owner of the popular blog, www.sustainabledish.com, focused on food, farming and sustainability. At the publishing of this book, she is 2 months shy of completing her coursework in the D.P.D.  program at Simmons College, in order to become a Registered Dietitian. Diana lives on a working organic animal and vegetable farm west of Boston with her husband and two children. Andrew Rodgers is the Farm Manager at Clark Organic Farm in Carlisle, Massachusetts. He left a career in high tech market research to pursue a Master's Degree in Soil Science at the University of Massachusetts in his mid-20s and has been farming for over 15 years. He runs a vegetable and meat CSA where he raises chickens, ducks, goats, sheep and pigs. Through the farm, Andrew hopes to create a community asset, a place where adults and children can have a connection to where their food comes from. Heidi Murphy is a Boston-area photographer specializing in food and lifestyle stories and has been named one of the most sought after photographers by Rangefinder Magazine. Her medium of choice is film, and her passion is to tell a story through imagery. When she's not shooting, Heidi loves spending time with her husband and two dogs, and perusing farmer's markets.